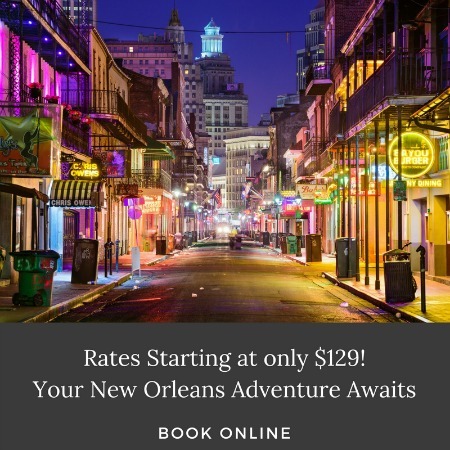 New Orleans Honeymoon :: An Incredible Honeymoon Awaits! When the wedding is over and the rice has been thrown, where will you and your new spouse be heading off to celebrate? If romance, adventure, and endless entertainment is on your list of musts, choose New Orleans! Our New Orleans bed and breakfast is located in the heart of Garden District, a top destination for honeymoons! Grand Victorian Bed and Breakfast was voted “Favorite Bed and Breakfast” by New Orleans Magazine readers! Everyone loves to come back from a night out on the town to our safe, cozy Garden District bed and breakfast on the streetcar line. There’s no chance you will wonder what to do in the Garden District. Soak up the New Orleans culture and experience all it has to offer. Get started now and explore New Orleans. Insider Tip: Grand Victorian Bed and Breakfast was named one of the 2015 Best Places to Elope. If you’re thinking about a spontaneous wedding, try an intimate New Orleans elopement without the waiting period for marriage licenses. Our comfortable bed and breakfast in New Orleans is the best place to unwind after a day of traveling. Spend some quality time together and wake up refreshed and ready to explore the city. Whichever one you stay in, you will love your beautifully appointed room, named after a historic Louisiana plantation. Every room offers a private bathroom and free Wi-Fi internet, plus a continental is included. 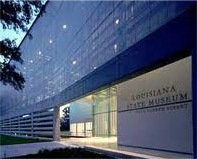 Immerse yourself in the rich history and culture of New Orleans during your stay! Experience one of the best restaurants in New Orleans, just 1 1/2 blocks from us in the heart of the Garden District. Commander’s Palace is the perfect place to stop for a bite to eat during your day out on the town. Featuring classic New Orleans charm, rich history, and award-winning cuisine, Commander’s Palace is a favorite among locals and vacationers alike. Chef Tory McPhail sticks to a “dirt to plate within 100 miles” philosophy that means you will always be enjoying the freshest farm raised products every time you stop by. 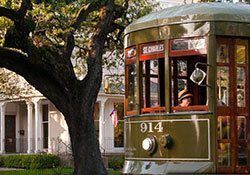 Take in the rich history and character of New Orleans with a historic ride in the St. Charles streetcar. Ride over 13 miles through the Garden District and enjoy the views of beautiful of our historic neighborhood, one of the most fun and romantic things to do on your honeymoon. The streetcar stops just steps from our front door, and also provides easy access to the French Quarter and University District. New Orleans’s Garden District is one of the country’s most sought after neighborhoods, with rich history and vibrant culture. Take a walking tour and learn about the sights. As you learn more about Garden District you will hold your honeymoon location closer to your heart and remember your trip forever. This free tour features Briggs-Staub House, Commander’s Palace Restaurant, Manning House, Lafayette Cemetery and much more! Just a short stroll from our inn, Magazine Street is the go-to place for every shopping enthusiast and is the perfect place to pick up a new treasure to take home with you to remember your honeymoon. 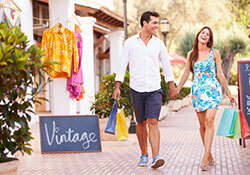 With 6 miles of shops, there will be something for everyone. Stop at Piranesi Classic Antiques & Decorations, As You Like It Silver Shop, Feet First Shoe Store, and dozens more. 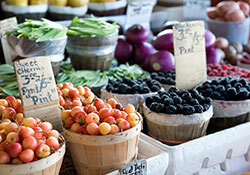 Check out the local flavor at the historic French Market. With 6 blocks of dining, shopping, and local produce, you will fall in love with the New Orleans culture. The Saturday market features handmade crafts like wearable art, candles, and more, as well as food vendors which differ from season to season. Some of our French Market District’s favorites include local honey, handmade fresh pies, and Philadelphia style soft pretzels.